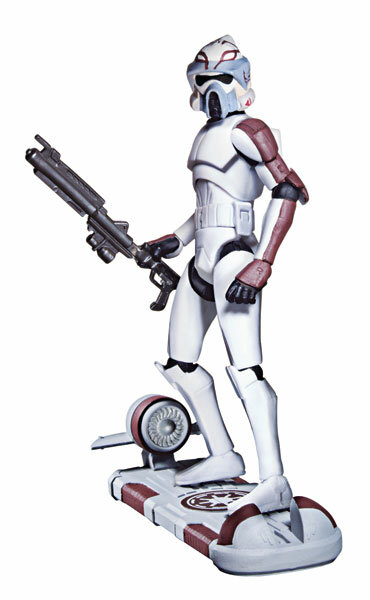 Just a reminder that Sideshow Collectibles' 2011 San Diego Comic-Con exclusive 12" Clone Commander figure will go up for priority pre-orders at 10AM (Pacific) on Thursday, June 2nd for Comic-Con attendees and on Friday, June 3rd for non-attendees. You can click here to check out the early product image gallery! We'd like to take a moment today to remember all those men and women who died while serving their country. We are thankful for the sacrifices they made to keep this country safe. We also want to send out our best wishes to those who serve today, may you be safe from harm and we hope you can come home soon. LucasArts has updated the Star Wars: The Old Republic website with a new video on Trooper Character Progression. In this video, you’ll get a small sampling of the armors and skills available as your Trooper class character evolves through gameplay. StarWars.com has posted a first look at the back cover for Ascension, the eighth book in the Fate of the Jedi series from Del Rey Books. Ascension was written by Christie Golden and is due to hit bookstores in August. 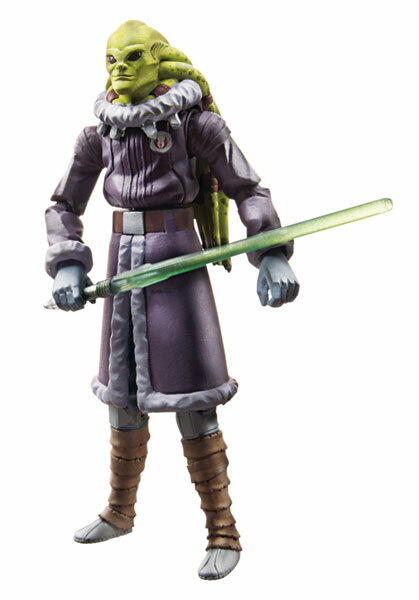 Tonight, we've got a pile of new pictures of upcoming Clone Wars basic figures courtesy of the various e-tailer websites out there. Click on the thumbnails below for a closer look at the basic figures that make up Clone Wars Waves 23-25 (aka Fall 2011 Waves 1-3). Sideshow Collectibles is now taking pre-orders for the Desert Sands Detachment Sandtrooper figure and the additional 1:6 Scale Dewback set piece. The FLEXpay edition of the Sandtrooper can be ordered here and the FLEXpay Dewback can be ordered here. Sideshow Collectibles is also taking pre-orders for the Premium Format Stormtrooper figure! Click here to pre-order the standard edition or click here to take advantage of the FLEXpay option. Vintage Collection Taun-Taun Coming Soon? Update! The gang at Sandtroopers have posted a new batch of prototype pics of the rumored Vintage Collection Luke's Taun-Taun. Click on over to check out the new pics and, as always, nothing is confirmed until Hasbro says it is! Disney has posted instructions for creating some Papercraft Star Tours Speeder vehicles. Follow the link, download the instructions and get to building your mini paper fleet! In celebration of the 34th Anniversary of Star Wars, Acme Archives Direct is having a one day sale. Use the code BIGGS25 for 25% off your purchase at the Acme Direct website today, May 25th. Note that the discount is not valid for character keys, sketchplates, or original production artwork. 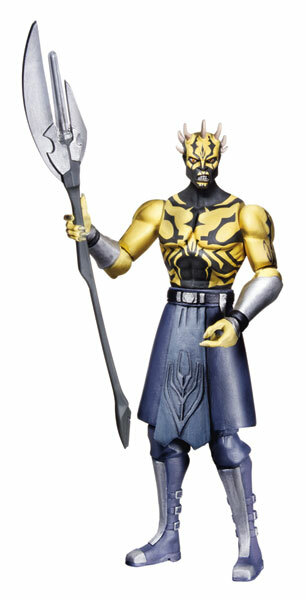 Remember the earlier rumor that Toys R Us would be getting an exclusive Clone Wars Commander Blackout figure? 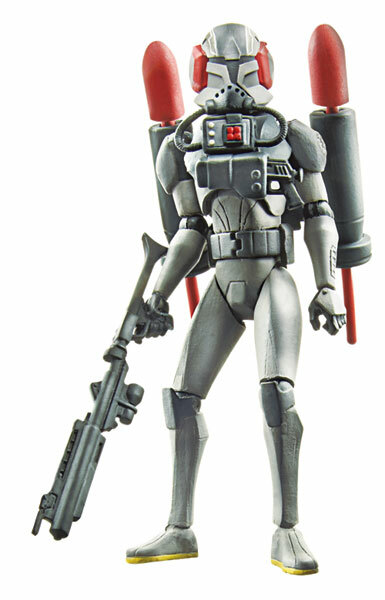 Well, the gang at Sandtroopers.com have posted a new carded figure photo that might suggest the rumors are true. Click on over to check out the full pic! Just a reminder that Sideshow Collectibles' Desert Sands Detachment Sandtrooper figure and the additional 1:6 Scale Dewback set piece will both go up for priority pre-ordering Thursday, May 26th, with the launch of the weekly Sideshow newsletter. To whet your appetite, Sideshow has posted the product image gallery a bit early! And another reminder - this time for the Sideshow Collectibles' Premium Format Stormtrooper figure, which will also go up for priority pre-ordering Thursday, May 26th, with the launch of the weekly Sideshow newsletter! Once again, Sideshow has posted the product image gallery a bit early! The guys at JediDefender.com have posted a nice report on the first of the 2011 Star Wars Weekends and Star Tours launch event at Disney's Hollywood Studios this past weekend. Follow the link for a look at the event and some news on the Disney exclusive Star Speeder 1000 playset vehicle. Star Wars Celebration 6 News Coming Soon? The Official Star Wars Celebration website has been updated with a simple roman numeral six logo. What does it mean? Well, no one really knows yet. Stay tuned for more details on when and where as they are revealed! Arriving at your local comic book shop this week are two new comics from Dark Horse - Star Wars Legacy: War #6 and Star Wars: Darth Vader and the Lost Command #5. Can't wait to read them? Then follow the links for previews to tide you over! StarWars.com has added twenty-one new musical cues and background clips from the Star Wars movies to the Star Wars Soundboards. Follow the link and have some fun mixing and mashing the music from the movies! The Official Star Wars Website has posted a pair of new Star Tours videos from last weekend's ride launch event. Click on over to check out details on Launching Star Tours as well as some of the Secrets of Star Tours. Toys R Us Vintage Collection Y-Wing Coming Soon? The gang at Yakface are reporting news of a possible Toys R Us exclusive Vintage Collection Y-Wing Starfighter coming this Fall. Follow the link for the details and a link to the eBay auction that revealed the pic. And remember, as always, nothing is confirmed until Hasbro says it is! 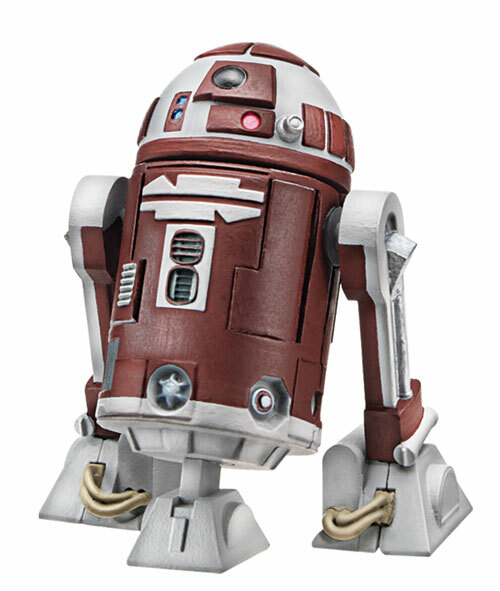 Our pals at Jedidefender.com are reporting that a few Star Wars goodies are now turning up at the overstock stores - places like Ross, TJ Maxx, and Marshalls. Look for the once exclusive Dllr Nep & Plourr Ilo Comic Pack for just $5.99 or the 3D Owner's Guide to the Millenium Falcon book for just $7.99 at your local stores. LucasArts has updated the Star Wars: The Old Republic website with a new Studio Insider post. In this entry, Audio Designer Scott Morton walks through the process of creating the perfect mix of music and sound effects for combat, while Senior Concept Artist Clint Young answers questions about the art direction in The Old Republic. Scott has posted another new entry in JediDefender's Collect All 92! forum. Click on over to check out the comparison pics for the fearless and inventive Princess Leia (Boushh Disguise)! Sideshow Collectibles has posted a new teaser image to fully reveal their upcoming 1:6 Scale Dewback and Desert Sands Detachment Sandtrooper figures (sold separately). Priority Pre-Ordering for both items will begin next Thursday, May 26th, with the launch of the weekly Sideshow Newsletter! Sideshow Collectibles has also posted a teaser image to announce their upcoming Stormtrooper Premium Format figure! Priority Pre-Ordering for this one will also begin next Thursday, May 26th, with the launch of the weekly Sideshow Newsletter! Entertainment Earth is running a new Hasbro Action Figure Sale! For a limited time, when you order any in-stock Hasbro action figure item (including sets and cases), you can get a second in-stock Hasbro action figure item of equal or lesser value at a savings of 40% off! The offer is valid on new in-stock orders placed until May 24th. Gentle Giant has updated their Facebook page with a preview pic of their upcoming 2011 Premier Guild exclusive Ponda Baba statue. Head on over and check out the statue, which features a cantina themed base and interchangeable hands - two furry, two finned. How will you display yours? 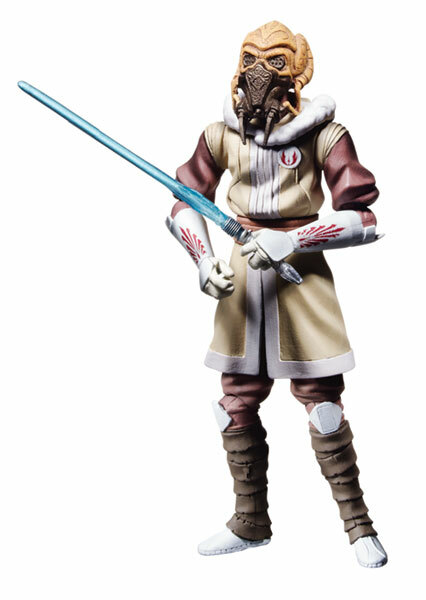 Entertainment Earth Has Lots of New Clone Wars Pre-Orders! 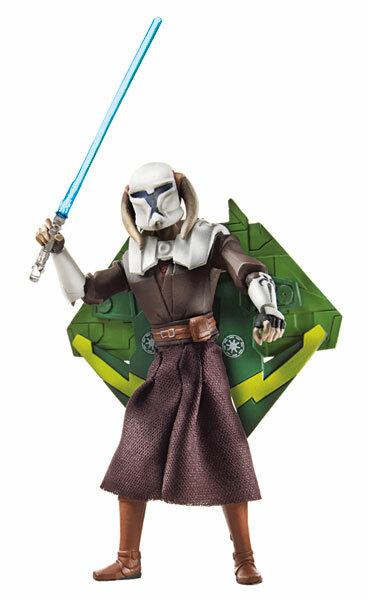 Entertainment Earth has posted a pile of new Clone Wars basic figure cases up for pre-order tonight. No pics yet, but check out the links for the run down on the cases and the 15 new carded figures revealed below! - 2011 Fall Wave 1 (aka Wave 23) has four new figures and one new repack CW38 Clone Commander Jet, CW39 Hondo Onaka, CW53 Plo Koon (Cold Weather Gear), CW55 Savage Opress (Shirtless), and CW56 ARF Trooper (Kamino). - 2011 Fall Wave 2 (aka Wave 24) has five new figures - CW54 Saesee Tiin, CW57 Stealth Ops Clone, CW60 Kit Fisto (Cold Weather Gear), CW61 Seripas, and CW62 Captain Rex (with Jet Pack). 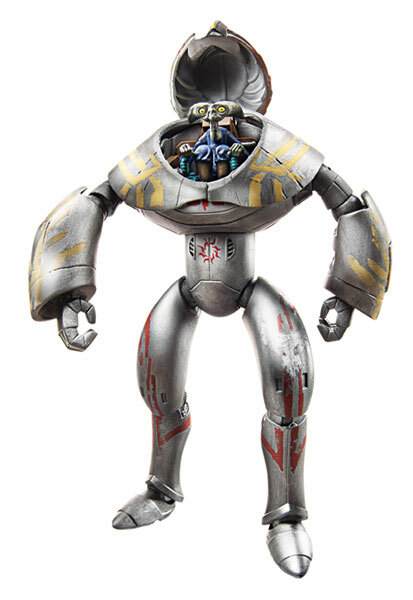 - 2011 Fall Wave 3 (aka Wave 25) also has five new figures - CW58 Jedi Even Piell, CW59 Savage Opress (Armored), CW63 Kashyyyk Warrior, CW64 R7-D4 (Plo Koon's Astromech), and CW65 Jar Jar Binks. Head on over and order yours now! Disney has updated their Parks Blog with more Star Wars Weekends news. Follow the link for a look at more of the Disney Star Wars loot that you'll find during the Star Wars Weekends at Disney’s Hollywood Studios. Arriving at your local comic book shop this week is the first issue in a new Star Wars series from Dark Horse. 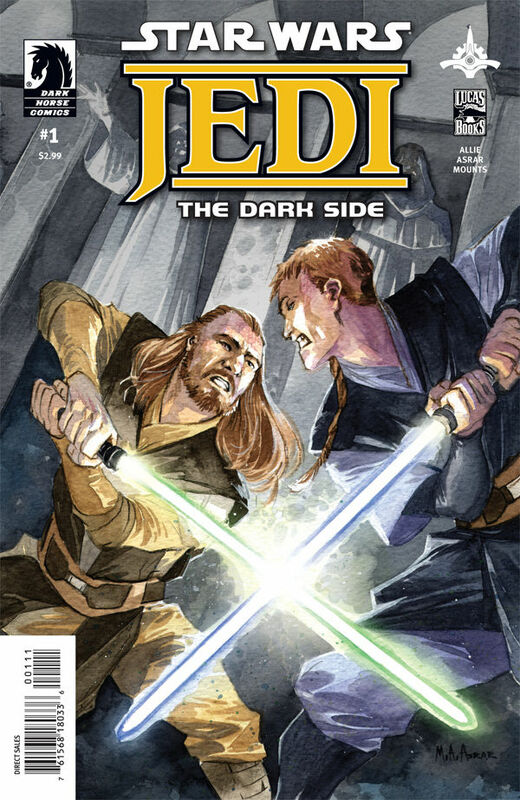 Star Wars Jedi: The Dark Side #1 is set 21 years prior to Episode I and follows a younger Qui-Gon Jinn, who has been dispatched to prevent the outbreak of a civil war on the homeworld of his Padawan, Xanatos! Sideshow Collectibles has posted a new Production Peek video. Follow the link to check out the sneak peek at the upcoming Sixth Scale Dewback and keep an eye on future Sideshow Newsletters for updates! 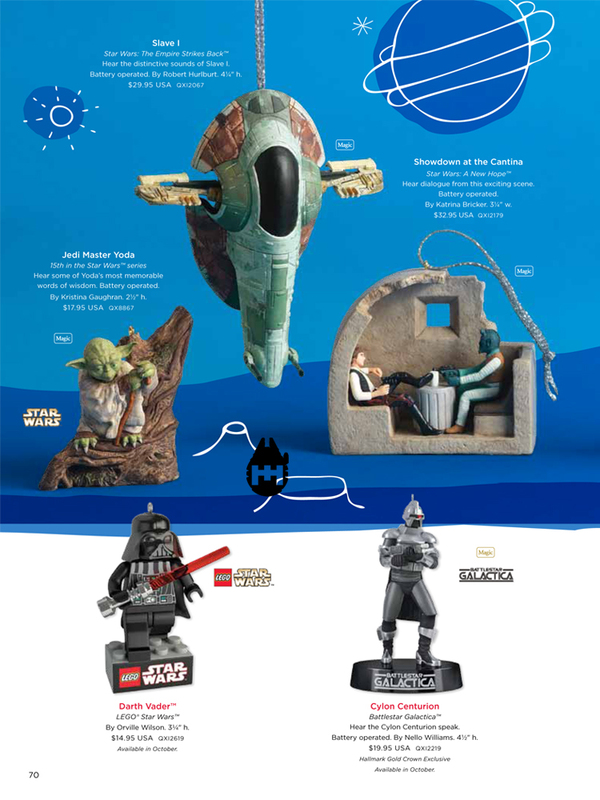 Hallmark has posted their 2011 Dream Book, which includes pictures of the latest Star Wars Keepsake ornaments. This year's ornaments include the Slave I, a Han Solo vs. Greedo "Showdown at the Cantina" diorama, LEGO Darth Vader, and more! Just a reminder that our pals over at JediDefender are running their annual Hasbro action figure Wishlist poll. Click on over to the JediDefender Forums and cast your Revenge of the Sith votes today! Galactic Heroes AT-ST Cinema Scene Heading to TRU? The gang at Yakface have a report that one of their readers found the previously cancelled Galactic Heroes AT-ST Set at a Phoenix Toys R Us. There has been no word from Hasbro on the fate of this set, so let's hope that this means everyone who wants one will be able to get one. Can't make it down to Orlando for the big grand opening of the new and improved Star Tours - The Adventure Continues on May 20th? Well you can still "be there" in spirit thanks to a Disney's live webcast of the event! The webcast will include the entire grand opening event plus some material just for those watching online. LucasArts has updated the Star Wars: The Old Republic website with some new details on the Sith Inquisitor player class. Click on over for new info on the class' advanced professions, the Assassin and Sorcerer. StarWars.com has posted a 4-page preview of Darth Vader and the Lost Command #5 from Dark Horse Comics. Follow the link to check out the preview and look for the book at your favorite comic shop on May 25th. 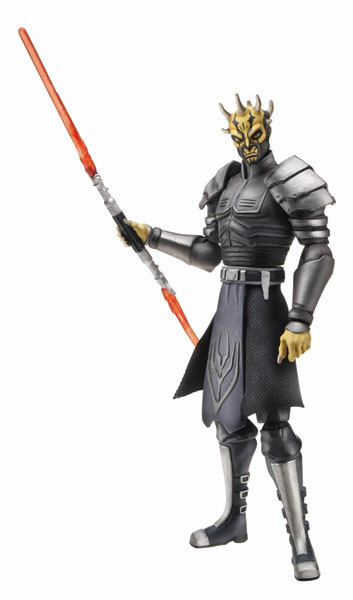 Sideshow Collectibles is now taking pre-orders for the 12" Figrin D'an figure! Click here to pre-order the leader of the Modal Nodes and stay tuned to future Sideshow Newsletters for news on the rest of the 12" band! 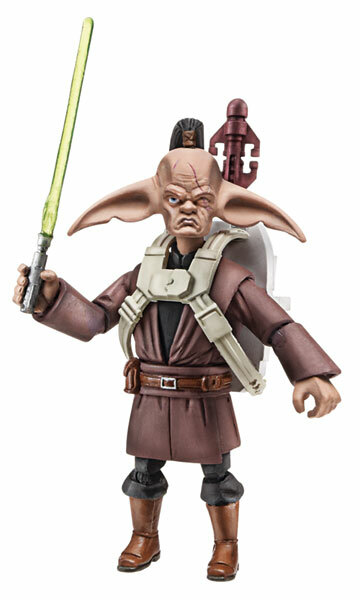 Sideshow Collectibles is also now taking pre-orders for the Figrin D'an Life-Size Bust. Click here to pre-order or click here to take advantage of the FLEXpay option. Note that a non-refundable, one-time deposit of $50.00 will be charged within 24-48 hours of order placement. The gang at Rebelscum have posted a nice list of new DPCIs in the Target computer. It looks like even though the Jedi Force toy line will be coming soon, the Galactic Heroes are sticking around for a while yet. Click on over to grab the list so you have them for your Summer toy runs. Yep, it's another scoop for the Sandtroopers. 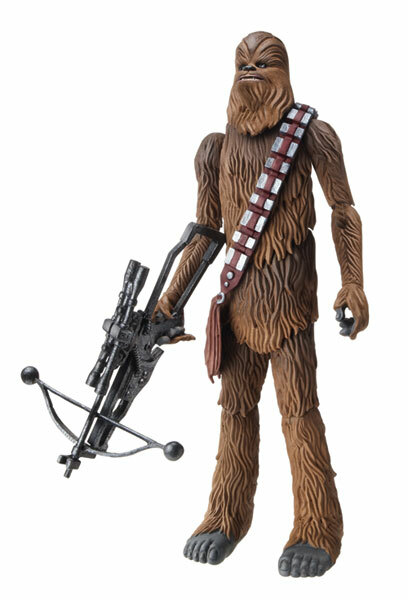 This time, it's a first-shot of what appears to be a new Vintage Collection Luke's Taun-Taun. It's hard to say for sure, but it looks like the broken horn is a separate piece, meaning it'd be an easy swap to get us Han's Taun-Taun! Click on over to check out the pic and, as always, nothing is confirmed until Hasbro says it is!